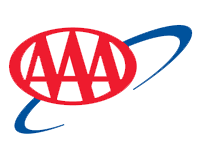 For a free insurance quote, contact an experienced AAA Insurance agent near you. The relationship between you and your insurer should be no different. 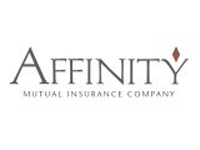 At Affinity, we have been insuring specialty risk businesses since 1934. This specialized focus has enabled us to become an advocate who recognizes your business insurance needs are as unique as your business. If you are living on a level or fixed income, as inflation and medical expenses go up, you may be forced to make uncomfortable decisions on what you can continue to afford. Not just big purchases – but the little things that make retirement more enjoyable, too. Retirement could potentially last 25 or 30 years, or even longer. Everything you buy today could cost about twice as much in 25 years. 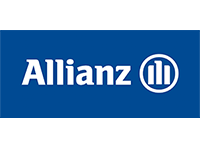 Talk to your financial professional about how Allianz can help provide a guaranteed source of lifetime income with the potential to increase. And if you don’t already have a financial professional, you can Contact us. Annuities can help you meet your long-term retirement goals by offering tax-deferred growth potential, a death benefit during the accumulation phase, and a guaranteed stream of income at retirement. Annuity guarantees are backed by the financial strength and claims-paying ability of the issuing insurance company. It’s our mission to be the Good Hands—to help protect customers and be a force for good in our communities. To uphold that mission, we make decisions, define our values and shape our entire company culture around it. Bringing good to life isn’t new to us. It’s part of who we are and the legacy we’ve been building since 1931. Anthem, Inc. grew out of two Indianapolis-based corporations formed in 1944 and 1946 as mutual insurance companies. Those two companies were created to provide health insurance to residents of Indiana as Blue Cross of Indiana and Blue Shield of Indiana. They eventually merged to form Blue Cross and Blue Shield of Indiana. In October 2001, Anthem demutualized and conducted an initial public offering of common stock. WellPoint, Inc. (formerly Anthem, Inc.) was formed when WellPoint Health Networks Inc. and Anthem, Inc. merged in 2004 to become the nation's leading health benefits company. Arlington/Roe was founded in 1964 by Francis Roe, father of current President and owner, James A. Roe, and is respected nationwide as a Managing General Agent and Excess & Surplus Lines Broker. Started initially as a general agent for mobile home and recreational vehicle insurance, Arlington/Roe has since expanded to include other Specialty Personal Lines, Commercial Property and Liability (Underwriting and Brokerage), Commercial Auto/Transportation, Aviation, Bonds, Professional Liability, Workers Compensation, and Medical Professional. Arlington/Roe is a true believer in the independent agency system. Being a mutual organization is important. It means we have no shareholders or publicly-traded stock, and that our policyholders share in the ownership of the company. Ultimately, it means we are in business to serve the interests of our policyholders. Life insurance, annuities, long term care and disability income protection are all products you will rely on many years into the future. Stability is the most important factor to consider when entrusting your future with a life insurance company. Auto-Owners Life Insurance Company is rated A+ (Superior) by AM Best based on our ability to pay claims and remain financially stable in the future. An important part of purchasing life insurance is deciding how much to buy. Auto-Owners and our independent agents are here to help you. 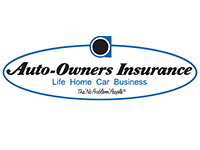 For over 95 years, Auto-Owners has been dedicated to the independent agency system. We're proud to be ranked among the Fortune 500 every year since 2002, and our written premium is over $5 billion. 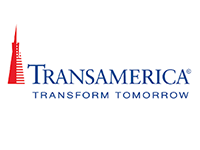 Comprised of five property and casualty companies and one life/health/annuity insurer, the group is recognized for exceptional financial strength and stability among the nation's largest insurers. 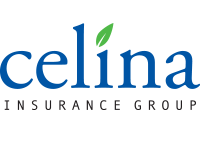 Celina Insurance Group is comprised of several multi-line insurance companies offering a wide range of property and casualty insurance products in Ohio, Indiana, Tennessee, Kentucky, Pennsylvania, Iowa, Minnesota and West Virginia. Celina has grown over the years by offering superior service to its agents and policyholders. Our product vision is to provide premier personal, small commercial and farm insurance products that meet the needs of insureds and exceed the offers of the competition. Our core company values are: Stability. Innovation. Relationships. The mission of ECM Insurance Group, Inc. is to be a leader in insurance by holding true to our integrity, so that we are the company of choice to our agents and policyholders. The goal of ECM Insurance Group, Inc. is to serve the insurance needs of the agricultural and commercial community by holding true to our core values of Integrity, Perseverance, Decision-making and Financial Stability. ECM is proud of our rural heritage and tradition of people helping others in time of need. Everett Cash Mutual Insurance Company was founded in 1913 by Simon F. Whetstone with these same strong principals in mind. 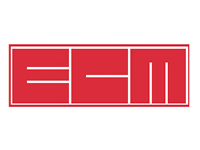 For over 100 years ECM has continued to provide security, peace of mind and loyality to our rural clientele. 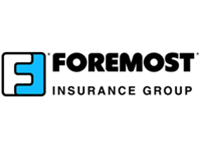 ECM is the 3rd largest writer of Farmowners Insurance in the state of Pennsylvania and the 2nd largest in North Carolina. We insure over 15 billion dollars worth of property with written premium exceeding 70 million dollars. Our 400+ independent agents throughout Georgia, Indiana, Kentucky, Maryland, North Carolina, Ohio, Pennsylvania, Tennessee, Texas and Virginia represent our company and our 50,000+ policyholders. 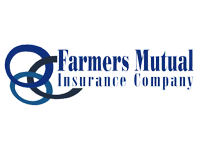 Farmer's Mutual Insurance Company of Noble County was chartered in the state of Indiana in 1892, to serve the farming community which was not being done by the national companies of that time. As more and more people borrowed money to finance their farming operations, it became evident that mortgage companies needed to protect their investment, so Farmer's Mutual filled that void. As a specialty insurance company, we serve our markets by providing insurance choices that may not be offered by other companies. So, if you're wondering whether or not we can insure a particular product, check us out — our extensive insurance options may surprise you! How can we offer such a great selection of specialty coverages? We've spent the last 60 years getting to know the markets we serve exceptionally well. We understand the coverages you are looking for with the specific types of policies you may want. We've taken what we learned and turned that expertise into a solid business. 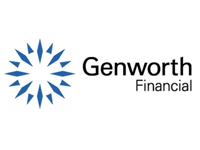 Since writing their first policy in 1871 as The Life Insurance Company of Virginia, Genworth has been committed to helping people effectively protect and achieve the comfort of financial security. Today, even in this challenging environment, Genworth Financial is strategically focused and positioned to provide the stability, confidence and support our policyholders, customers and distributors can rely on now and in the future. As a financially separate affiliate of the Gerber Products Company, “the baby food people,” our two companies share a common goal: to help parents raise happy, healthy children. At Gerber Life Insurance, we have an additional goal. It is our mission to be the brand that parents trust to help them achieve financial security and protection for their families. By providing affordable, industry-leading child life insurance plans in addition to other adult life insurance policies, we strive to give our customers the comfort and peace of mind they deserve. Today, Gerber Life Insurance is licensed to provide life insurance throughout the United States, Canada and Puerto Rico. We have more than $45 billion of life insurance in force and help provide financial security through over 3.3 million policies. 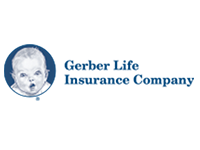 Gerber Life has insurance products available for people at every age and every stage of life. 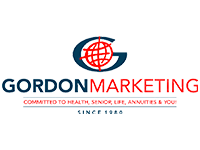 Gordon Marketing is a National distributor for hundreds of life and health carriers. Over the past 30 years, we have built strong relationships with agents in 49 states by offering constant training, CE classes and a product listing of 150+ in Senior, Life, Annuity, Affordable Care, Dental, Disability, Cancer, Short Term Care, Long Term Care and much more. Grand River Insurance provides competitive commercial insurance solutions to an exclusive group of independent agency partners. We are committed to helping you place business by understanding your agency and local market, providing authority to our employees and developing relationships that add value and generate profit. 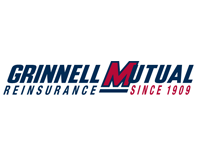 Located in America’s heartland, Grinnell Mutual provides property and casualty insurance and reinsurance to customers in 12 states throughout the Midwest. We act with integrity. Trust and respect our employees. Value our relationships. And serve and protect our customers. Our mission statement also remains the same today as it was in the past. 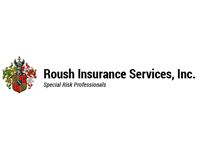 "To provide quality reinsurance and insurance products and services in a profitable manner through a partnership with member mutuals and agents. Management decisions will be considered in light of their effect on the welfare of the membership." Founded in 1810, The Hartford Financial Services Group, Inc. (NYSE: HIG) is one of the largest insurance and investment companies based in the United States, with offices in the United States, Japan, the United Kingdom, Canada, Brazil and Ireland. 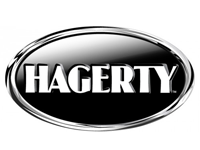 The Hartford is a leading provider of life insurance, group and employee benefits, automobile and homeowners insurance and business insurance - as well as investment products, annuities, mutual funds, and college savings plans. The Hartford serves millions of customers worldwide - including individuals, institutions, and businesses - through independent agents and brokers, financial institutions, and online. After 200 years in business, The Hartford is known for its superior customer service and continued operational excellence. 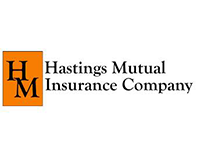 For well over 100 years, Hastings Mutual Insurance Company has built an outstanding reputation based on quality customer service and needed insurance products, backed by sound company finances. We are indeed proud of our past and look forward to a progressive future! 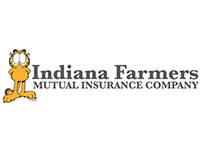 Indiana Farmers Mutual is an Indiana-based company, providing Auto, Home, Farm, and Business insurance across the state. Protecting Hoosiers has been our mission since 1877. We call Indiana home. It's where we live, work and raise our families. And, it's where we focus all our efforts. Indiana is our only market, and Hoosiers are our only customers. We are also different than many insurance companies in that we exist only to serve our policyholders. We have no stockholders or investors. We are a mutual company owned by our policyholders. Together with our more than 200 independent insurance agents, we work to protect your financial safety net from risk. 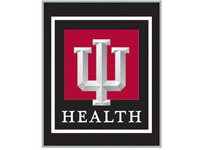 As part of Indiana University Health, Indiana's only healthcare system to be nationally ranked by U.S.News & World Report 17 years in a row, IU Health Plans offers a full range of health insurance plans for employers and their employees, individuals, families and Medicare eligible members of our community. With IU Health Plans you have access to high quality care and services to keep you and your family well. 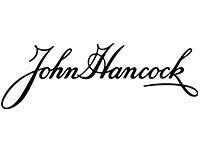 At John Hancock, we’re taking a whole new approach to life insurance. With it, you can save on your premiums and earn valuable rewards and discounts by simply living a healthy life. In fact, the healthier your lifestyle, the more you’ll save and the greater your rewards. 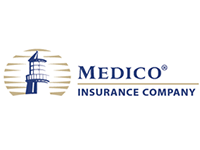 Medico Insurance Company has served the insurance needs of Americans since 1930, establishing a proven track record in providing quality insurance solutions. Today, Medico Insurance Company, Medico Corp Life Insurance, and Medico Life and Health Insurance Company's products are designed to help protect the financial well-being of our policyholders while our employees are dedicated to providing the kind of customer service they deserve. We seek to understand our customers' and agents' needs in order to offer products and services that exceed their expectations. For more than a century, Mutual of Omaha has been committed to helping our customers through life's transitions by providing an array of insurance, financial and banking products. 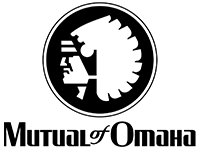 A full-service, multi-line provider of insurance and financial services products, Mutual of Omaha offers products and services that provide financial protection to help families, individuals, businesses and groups achieve their goals. 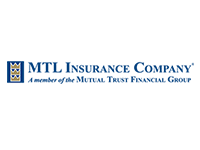 Mutual Trust Life Insurance Company offers life insurance and annuity products to help individuals and businesses meet a diverse range of financial objectives. Our knowledgeable, independent insurance advisors work directly with clients to analyze needs and goals, recommend solutions and provide ongoing, personalized service. CNA Surety provides a full range of surety and fidelity bonds in all 50 states. Through a combined network of approximately 36,000 independent agents, the company has the capability to serve a full range of bonding needs, from the smallest commercial bonds to multi-million dollar contract bonds. CNA Surety is known for its expert underwriting, solid financial strength, market leadership and creative solutions to all bonding requirements. 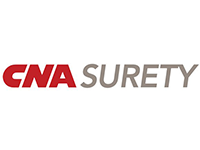 With a highly diverse product line, one of the broadest underwriting capabilities in the industry, and an unparalleled distribution system, CNA Surety ranks as one of the largest surety companies in the United States. 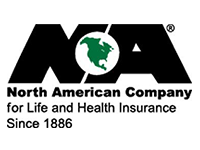 As a wholly owned subsidiary, CNA Surety can utilize the financial strength of CNA Financial Corporation (CNA), the 7th largest U.S. commercial property and casualty insurer, in meeting your bonding needs. 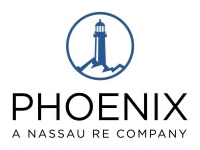 Phoenix is experienced at helping people use life insurance to help secure their futures and those of their families. Financial professionals recommend our products for their clients to help prepare for the unexpected, protect loved ones, generate supplemental income for retirement and other expenses and create legacies. Phoenix's life insurance products offer a spectrum of death benefit protection, living benefits in case of critical, chronic or terminal illness, as well as unique options for leaving a legacy to young beneficiaries like college tuition assistance and annual birthday gifts. Cash value accumulation features provide flexibility to meet a variety of needs. Our long history of product innovation drives ongoing development of competitive offerings for today's marketplace. Phoenix has an experienced underwriting team and streamlined underwriting processes that offer easy application and quick decisions. The Progressive Group of Insurance Companies, in business since 1937, ranks third in the nation for auto insurance based on premiums written and provides drivers with competitive rates and 24/7, in-person and online service. 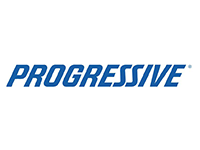 The Progressive Group is the number one writer of automobile, motorcycle, RV and personal watercraft insurance through independent agents and a leading agency writer of boat and commercial auto insurance. We offer a variety of commercial lines products for risks of all sizes with options that can be tailored to meet your client’s needs. Coverage is available on either a monoline or package basis. Our binding authority contracts enable us to quote submissions, bind coverage and issue policies quickly. Brokerage arrangements with several other markets for specialty insurance products provide additional opportunities for you to write more commercial lines business. Founded in 1981, Sagamore Insurance Company is licensed in 49 states to provide property and casualty insurance. 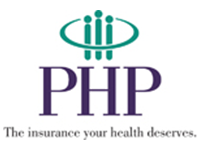 We are the largest Medicare-approved Part D prescription drug plan provider. 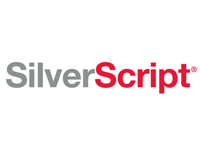 A proud member of the CVS Health family of companies, SilverScript (PDP) was part of the group of insurers chosen by Medicare to help launch the Part D program in 2006. In this, our 10th anniversary year, we now serve over 5 million members, providing confidence, consistency and worry-free coverage to America’s seniors and people with disabilities. 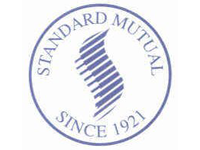 Based in Springfield, Illinois and serving the entire Illinois – Indiana area, Standard Mutual offers insurance that you can depend on for reliable, convenient coverage. As a property and casualty insurance provider, we provide customizable plans that can be tailored to your specific needs. 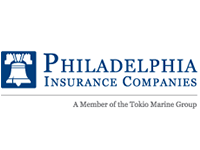 While offering a full array of property insurance and casualty insurance, we specialize in providing personal line products including automobile insurance and homeowners insurance. Today, the State Auto Insurance Companies employ approximately 2,400 associates and market products and services through independent insurance agencies, which include retail agencies and wholesale brokers. Group assets are in excess of $3.6 billion with 2012 direct written premium of $1.9 billion. The corporate headquarters is in Columbus, Ohio, where State Auto was founded in 1921. Regional headquarters are located in Nashville, Tenn., Indianapolis, Ind., Columbus, Ohio, Austin, Texas and Baltimore, MD. 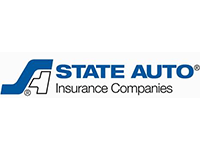 The State Auto Group is rated A (Excellent) by the A.M. Best Company and consists of State Automobile Mutual, State Auto Property & Casualty, State Auto Ohio, State Auto Wisconsin, Milbank, Meridian Security and Patrons Mutual. 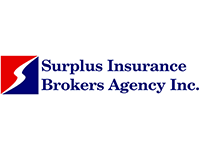 Surplus Insurance Brokers Agency, Inc. is a MGA (Managing General Agency) serving the independent agent sector for more than 32 years. We offer our knowledge, professionalism and a portfolio of carriers to provide solutions for that hard to place or specialty risk. We are located in South Bend, Indiana and can provide coverage for risks domiciled in the regions of Indiana and Illinois. 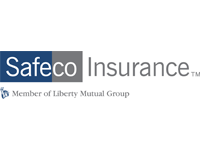 Safeco® is known for helping people protect the lives they’ve built, but we’re also known for being a great place to work, nurturing community involvement and supporting independent agents with innovative tools and programs. Based in Kokomo, Indiana, Downey Public Risk has more than 40 years' experience in the insurance industry. Downey Public Risk provides coverage for police officers, firefighters, emergency responders, school bus drivers and other invaluable public servants who put their lives on the line every day for the public good. 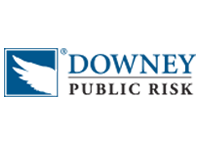 Downey Public Risk Underwriters have been in operation since 1970, providing insurance services for public entities. Most notably, Downey Insurance has performed as the administrator of Indiana Public Employers' Plan (IPEP) for the past 20 years. IPEP is the largest provider of public entity workers compensation in the State of Indiana which provides coverage for as much as $1,000,000,000 in public worker wages. 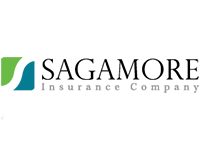 Downey Public Risk Underwriters is also the Program Administrator for a municipal property and casualty program (PEP) which provides a wide range of coverages to public entities through EMC Insurance Companies, Inc. Through this program, Downey Insurance provides comprehensive package lines of insurance including professional liability for law enforcement and public officials. These coverages are available to counties, cities, towns, townships, school corporations, and others. Additionally, Downey Insurance continues to operate as the Regional Director for Volunteer Fire Insurance Services, Inc. (VFIS) for the State of Indiana. Through the VFIS program, Downey Insurance provides professional liability and enhanced full package coverages to Emergency Services Organizations (ESO) throughout the State of Indiana. At UnitedHealthcare, we are committed to improving the health care system. 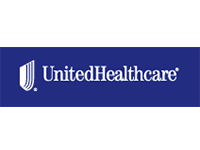 UnitedHealthcare is an operating division of UnitedHealth Group, the largest single health carrier in the United States. Our family of companies delivers innovative products and services to approximately 70 million Americans. UnitedHealthcare's nationwide network includes 632,000 physicians and health care professionals, 80,000 dentists and 5,060 hospitals. Our pharmaceutical management programs provide more affordable access to drugs for 13 million people. 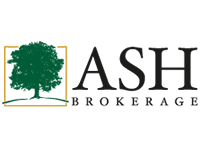 Ash Brokerage is an insurance Brokerage General Agency (BGA). No, that doesn’t mean we trade stocks and bonds on Wall Street. We work with financial professionals who are certified to sell insurance, such as licensed advisors, financial planners or registered investment advisors. Those advisors come to us with the information about their clients; we do all the processing and leverage our relationships with insurance companies in order to find the product that best fits your needs. 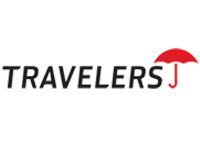 Basically, we represent more than 80 top-rated carriers, rather than just one. Each one has products with unique options and requirements, so how do you know which is the best for you? That’s where we come in. The Western Reserve Group operates exclusively through over 400 independent agents, providing insurance protection to over 170,000 households and businesses in the states of Ohio & Indiana. The company is rated A (Excellent) by A.M. Best. 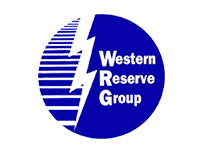 The Western Reserve Group offers a wide range of value added property and casualty insurance products for individuals, homes, and businesses in Ohio and Indiana.